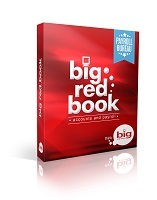 Big Red Book Payroll Software includes great features to make your life easier. 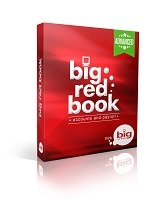 Big Red Book Payroll software is up to date and compliant with the latest Revenue rules and regulations. Our software links with Revenue Online, making it simple for you to meet your reporting obligations. Big Red Book Payroll allows you to roll back pay runs on individual employees to make changes if necessary. Get the flexibility that you need to run your business and comply with Revenue rules on a day to day basis. With our Payroll you can pay employees hourly, weekly, fortnightly or monthly. Make use of a combination of pay periods to suit your business with our payroll software. 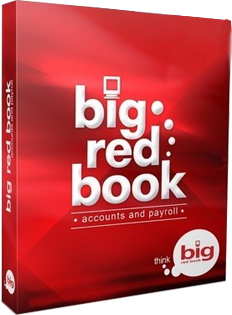 With Big Red Book Payroll you can pay employees by cash, cheque, giro or electronic transfer to their account. Our payroll software makes it as easy to pay your employees. Quickly and easily print employee pay advice slips with Big Red Book. Email payslips directly using SMTP or Outlook to your employees to save time on administration. Print periodic reports and revenue forms to keep you up to date with critical staffing information. Analyse your payrun by department to get in depth information that you need to run your business. Manage individual employee records including holiday history, sick leave, disciplinary logs and other notes with our payroll software. All of our payroll packages cover you for all revenue updates in the calendar year and are fully compliant with the Revenue Online Service. Purchasing Big Red Book Payroll software gives you access to our dedicated and experienced support team. Our time-sheet importer makes it easier for you to import employee hours directly from your time and attendance system or directly from excel. Designed to help you save time and money. Simplify your wage input with the added ability to set a “take home” amount per employee thus calculating the gross pay automatically. Our local support team works with you to resolve any issues and keep your accounting software running smoothly. Get in touch with the team over the phone, via live chat, through email, and access our online support centre for any other queries. Simple Pricing without the catch. Take a Test Drive With Our free Trial Today. Want all the features of our simple accounts software package in the cloud? Big Red Cloud offers 24/7 access, automatic updates and backups to help your small business run more efficiently. Learn more at the link below.